Nitro groups can be converted into amino groups by treatment with reducing agents such as palladium on carbon with hydrogen (Pd/C, H2), zinc (Zn) metal with acid, or tin (Sn) with acid. 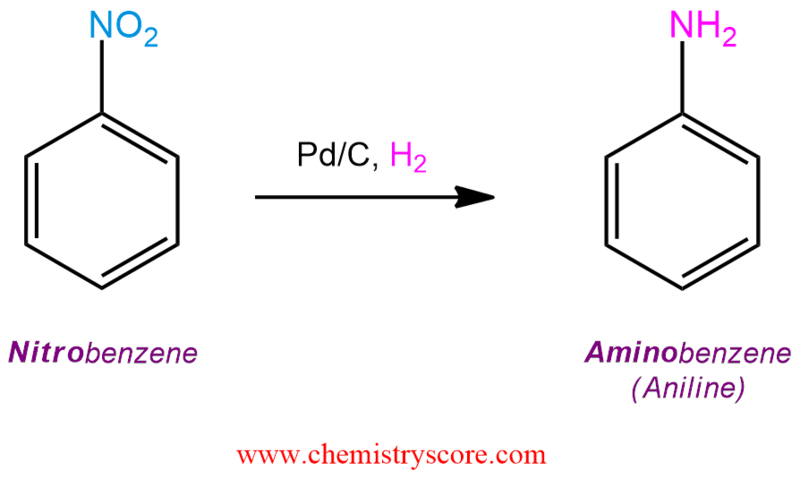 Many desired substituted benzenes have amino functions and they are more difficult to obtain directly from benzene. But the nitro group (NO2) is easily reduced to the amino group (NH2) under a variety conditions. 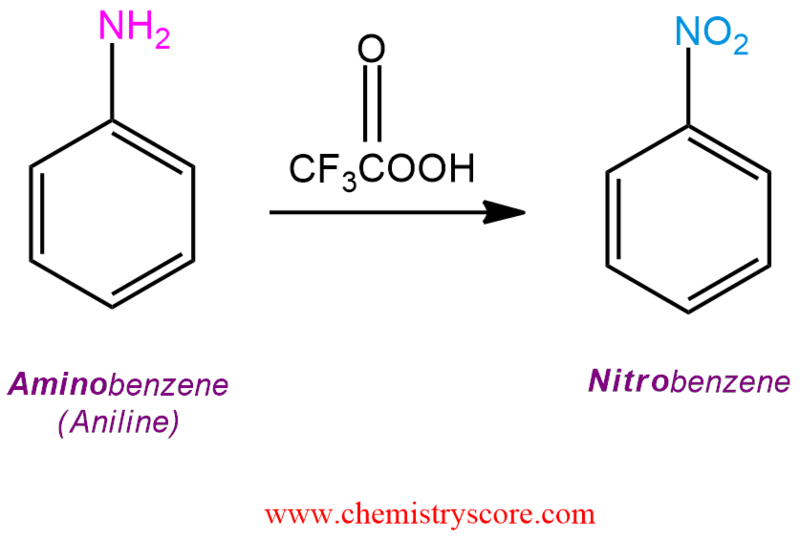 Therefore nitration is useful because the nitro group is easily introduced on a benzene ring. The most common methods use H2 and a catalyst, or metal (such as Fe or Sn) and a strong acid like HCl. The reverse, oxidation of aniline to nitrobenzene, employs trifluoroperacetic acid.